Stop stressing about making too many repairs on your house. 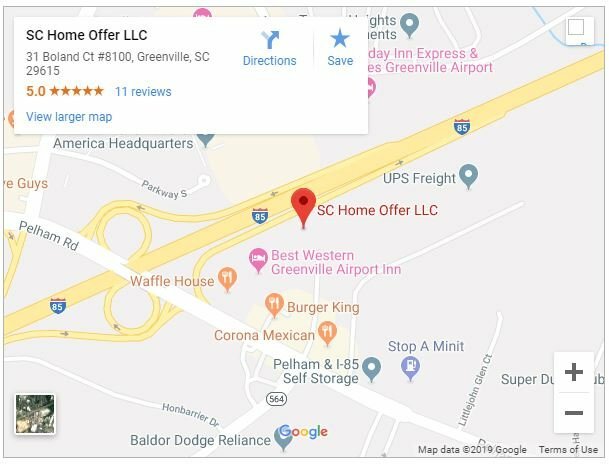 You can sell it as-is for cash in Greenville, SC! In preparation for selling your property, you must be able to answer this question: will I receive more money once I fix a house or sell it as-is? If finances are lacking and major repairs are necessary, the question becomes how do you sell a house when you cannot afford to fix it? Making your home attractive to potential homebuyers is necessary for a top-dollar sale. Cosmetic issues like the wall color, replacing appliances, and chipped floors are cheap and might not hinder a sale. Yet, structural defects are expensive repairs that still must be made. A variety of these improvements are highly stylized and require the right individual tastes. These can differ among neighborhoods, regions, and time periods depending on what’s in style. A feature that you love could be the deal-breaker for a buyer. So how do you sell your fixer-upper? Making repairs is necessary but the thought of hiring contractors and owning a Frankenhouse is unsavory. Many homeowners decide on acquiring a Realtor and selling their house without making repairs is the only option. When selling a house that needs repairs, Realtors often suggest lowering your asking price to shorten your home’s time on the market. In theory, this is great. The more time a house spends on the market, the more time a homeowner spends paying the home’s utilities, taxes, and insurance. However, your Realtor is more concerned with selling and receiving payment than selling your home at the top price to the right buyer. Sometimes, using a Realtor means giving up your home’s best chance to sell. But if you desire a simple, stress-free solution to selling your house with too many repairs, consider a trusted cash home buyer. Arguably the best advantage of accepting a cash buyer is their desire to buy your home as-is. Homeowners needn’t worry about fixing major repairs, updating outdated finishes, or appealing to the average buyer. A cash buyer wants your home just the way it is and is willing to pay fair market value for it. Give us a call at 864-506-8100 or fill out the form below to get started. We look forward to talking with you.